E-books, which have become increasingly popular, potentially offer users attractive and entertaining interaction beyond paper-based books. However, they have lost physical features such as paper-like texture and page-flipping sensation. We focus on flipbooks and propose a novel book-shaped device for flipbooks called Paranga that embodies both these physical features and e-book interactivity. Paranga detects how quickly a user is turning pages and provides the tactile feedback of turning pages on his/her thumb by employing a rotatable roller mechanism with pieces of real paper. Using this device, we created several interactive flipbook applications in which the story changes depending on page-turning speed. 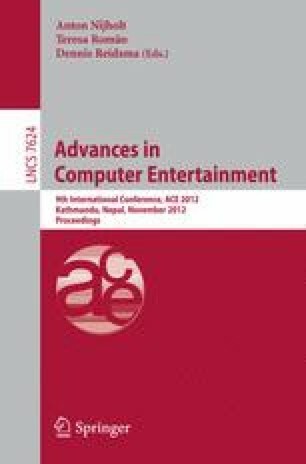 This paper details the implementation of this device, describes the users’ reactions at a conference exhibition, and discusses Paranga’s possible applications.